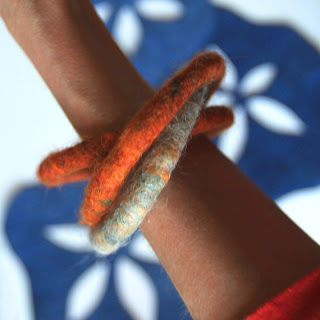 Cozy wrist-warming bangles hand-felted from spicy-speckled wool. 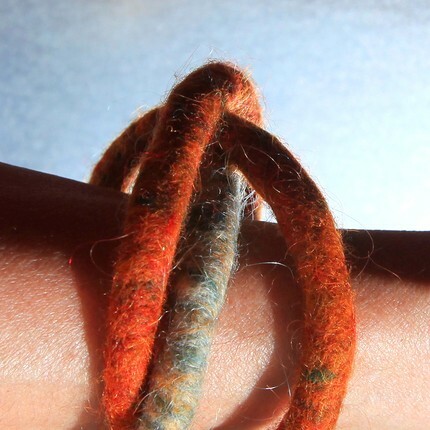 The intertwined design means the bangles fall just so, while the yummy fall colors mean you fall in love. This one-of-a-kind set is waiting for you in my Etsy shop.